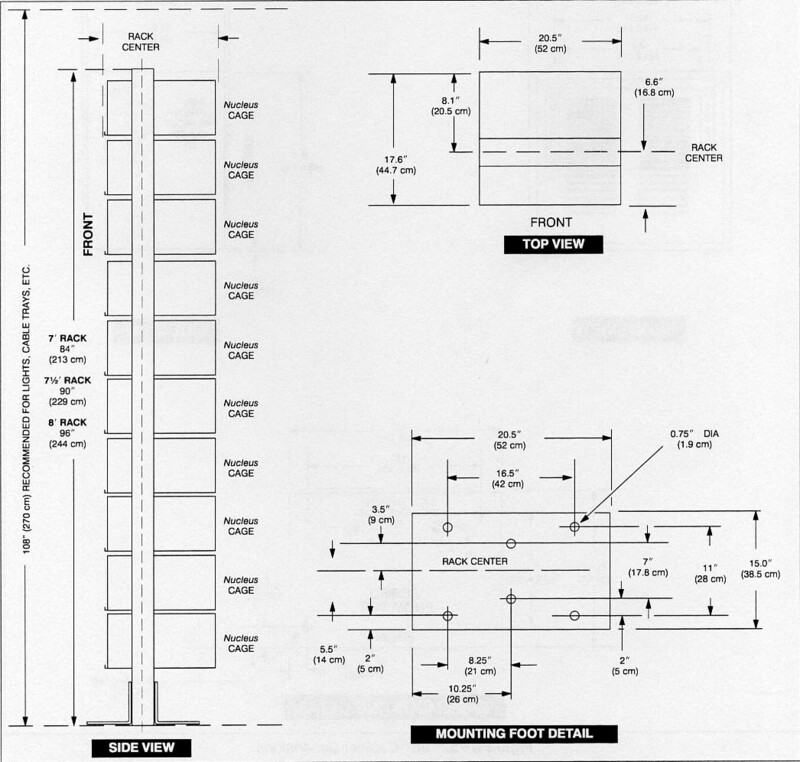 Figure 6-4 shows the physical dimensions for all three rack sizes available for mounting Nucleus Paging Stations and ancillary equipment. Shown is the 8' rack (Model No. TRN7344) with ten (maximum) Nucleus cages installed (standard power or high power); 7' (Model No. TRN7342) and (Model No. TRN7343) racks each hold nine maximum. Recommended clearance front and rear is 36" minimum for service access. Refer to Equipment Ventilation in Section 4 for recommended ventilation clearances. Rack mounting requires Option X153 mounting brackets.